The rotator cuff is a group of tendons and muscles that surround the shoulder joint. There are four muscles of the rotator cuff that are important in the function and movement of the shoulder joint. These muscles attach to the bone via a tendon. It is the tendon part of the rotator cuff that can become damaged causing a rotator cuff tear. When the rotator cuff tendon is torn, shoulder movements may become painful and weak, and discomfort can interfere with activity and even sleeping. Rotator cuff tears are a common orthopedic problem, and often these tears are so-called partial tears of the rotator cuff. A partial tear of the rotator cuff is an area of damage to the rotator cuff tendons, where the tear does not go all the way through the tendons. Rather, in a partial rotator cuff injury, the tendon is damaged, but not all the way through. The top part of the tendon is sometimes damaged, the bottom part of the tendon is damaged other times, and in some cases, the inner part of the tendon can be damaged. Some partial tears are very subtle, just some fraying of a small part of the tendon, whereas other partial tears can be just a minuscule amount of tissue away from a complete tear. While we often compare partial rotator cuff tears as a single entity, the reality is that each tear can be a little different, and may have differences in ideal treatment. People who have rotator cuff injuries often experience pain around the shoulder joint. Determining when the pain is coming from inflammation or a tear cannot be determined in part by a careful examination, and by imaging studies to evaluate the rotator cuff. Pain is not a reliable indicator of a rotator cuff tear, as many people with a structurally normal rotator cuff experience discomfort when there is an injury or inflammation around the shoulder joint. The best sign that there is structural damage to the rotator cuff is weakness of the muscles of the rotator cuff. Your examiner can perform specific test to isolate each of the muscles of the rotator cuff. When there is diminished strength, this is a common sign of structural damage to the rotator cuff. Imaging studies are often useful to evaluate the condition of the rotator cuff. Typically an x-ray will not show abnormalities of the shoulder joint. Occasionally, bone spurs or arthritis can be seen in association with rotator cuff damage, but the actual rotator cuff damage is not seen on x-ray image. Ultrasound tests are being performed to evaluate the rotator cuff, and a good, experienced technician can visualize the tendons of the rotator cuff with an ultrasound. MRIs are the most common test used to evaluate the rotator cuff. The MRIs will show not only the condition of the rotator cuff tendon but also the muscle. MRIs are useful at determining if the injury is a partial or complete tear of the rotator cuff. Most all patients with a partial thickness rotator cuff tear can be initially treated without surgery. During this time, other non-invasive treatments, most importantly physical therapy, can be attempted to allow the tendon to heal. Physical therapy can help to restore and maintain normal shoulder mechanics, and can often address the symptoms caused by the injury. While many people are active and strong, physical therapy can still be helpful as most patients with this type of injury have altered mechanics of the joint that may exacerbate the symptoms. 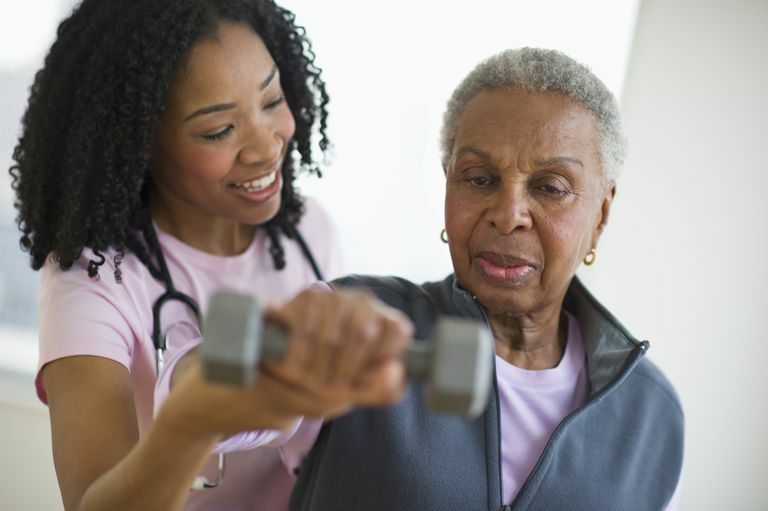 Patients may resist physical therapy, thinking their job or active lifestyle is enough exercise. I often remind patients that even professional athletes can (and do) benefit from physical therapy. If the symptoms persist despite these treatments, then surgery may be considered for a partial thickness rotator cuff tear. Determining when surgery is necessary for a rotator cuff tear is similar for both partial and complete rotator cuff tears. There are a few different ways to address a partial thickness rotator cuff tear at the time of surgery. Most often, these tears can be addressed arthroscopically, and seldom should an open surgery (with a larger incision) be necessary. The options for surgical treatment include cleaning up the inflammation (subacromical decompression), debridement of the tear (cleaning out the torn portion), or repairing the torn rotator cuff. In addition, some combination of these procedures can be performed. Determining the proper surgical treatment depends on what is seen at the time of arthroscopy. If less than 50% of the tendon is torn, then the tear usually does not require repair. In these cases, removing the frayed and damaged tendon (debridement), as well as removing any inflammation, will often relieve symptoms. If more than 50% of the tendon has been torn, a rotator cuff repair will typicallybe performed. Repair of a partial rotator cuff tear is usually quite strong. Compared to full rotator cuff tears, in a repair of a partial rotator cuff tear, there is less stress on the repaired tendon because the disruption of the tendon is incomplete. This is advantageous for healing and lessens the possibility of the repair failing. Because there is less stress on the repaired tendon, people can typically move more aggressively in their rehabilitation, and the timeline for recovery is often faster compared with a complete rotator cuff tear. Knowing when surgery is right can be a challenging question. Unlike full thickness rotator cuff tears, there is usually no urgency to perform surgery for a partial tear of the rotator cuff. When a full thickness tear occurs, patients may permanently lose muscle strength and recovery potential if surgery is delayed. This is typically not an issue for a partial tear, and therefore it is reasonable to give a good effort at nonsurgical treatment. If more conservative treatments are not working to relieve your symptoms, then surgery may be appropriate. Deciding whether or not a repair is necessary is usually made at the time of surgery. Only then will your surgeon have an accurate idea of how much tendon is torn, and whether or not repair should be performed. Partial rotator cuff tears are common findings, both on imaging tests and during surgical treatment of shoulder problems. While these may be common findings, they may not always require surgical treatment. In fact, the vast majority of partial rotator cuff tears can fully recover with nonsurgical treatment. Typically, surgery for this type of damage is reserved for people who cannot recover with less invasive treatments.